Soon we will be able to check-in on our phones while traveling in Europe, Google Map a temple in Southeast Asia and replace our #latergrams with #instagrams. Last week, T-Mobile announced that it will be eliminating international data roaming fees in more than 100 countries. As demand for international data roaming increases with increased penetration of smartphones and usage of mobile apps, it becomes more necessary to allow individuals to use their phones abroad. Currently, business customers generate the majority of roaming revenue, but we can expect revenue from individual usage to grow in the coming years. According to a report by Hot Telecom, global data roaming traffic is expected to grow 97 percent between 2012 and 2015 and global voice traffic to increase 39 percent. During 2007-2012, international data roaming grew by 630 percent in the European Union. T-Mobile’s “Uncarrier” strategy comes at a time when leisure travel continues to increase and business travel spending is expected to be over a trillion dollars in 2013 and grow by 8.2% in 2014. With these trends, we can expect that other carriers will follow in providing more affordable or even free international data roaming and messaging. Travel will become easier and itineraries will become more spontaneous rather than planned with increased access to information for the traveler. What comes to mind are augmented reality applications that provide a solution to the needs shared by every traveler, which are to receive curated recommendations, discover a new place, learn something new and share the experience with friends. Below are a few apps that I am looking forward to using in my future travels! 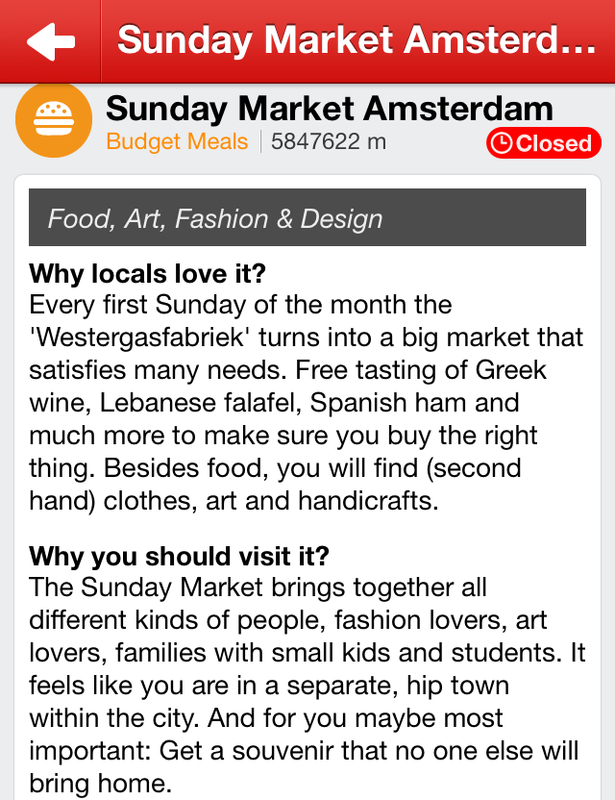 Like A Local (http://www.likealocalguide.com/) offers curated recommendations from locals to help travelers discover local eateries, entertainment, nightlife, shopping, etc. What I like most about this app is that the recommendations are all from local experts and it has both an offline and online component. 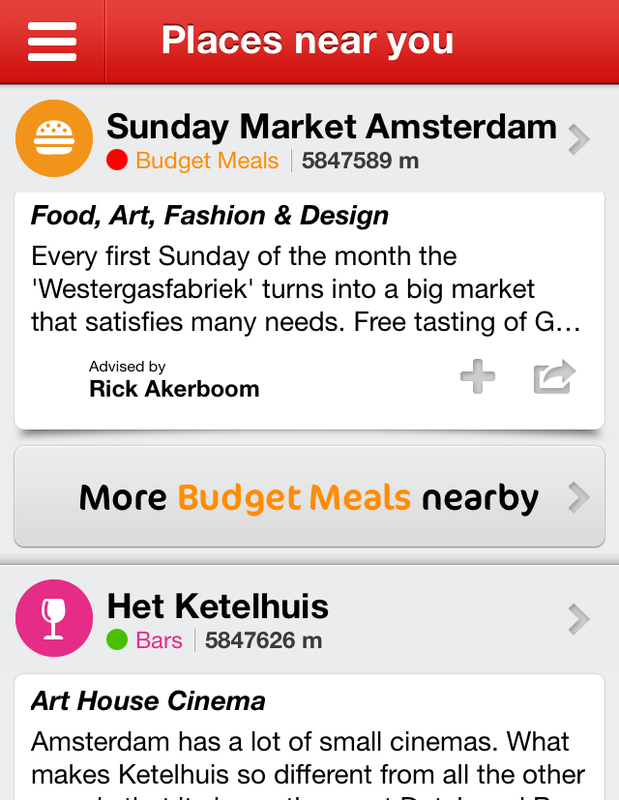 The user is able to access maps and recommendations while offline. 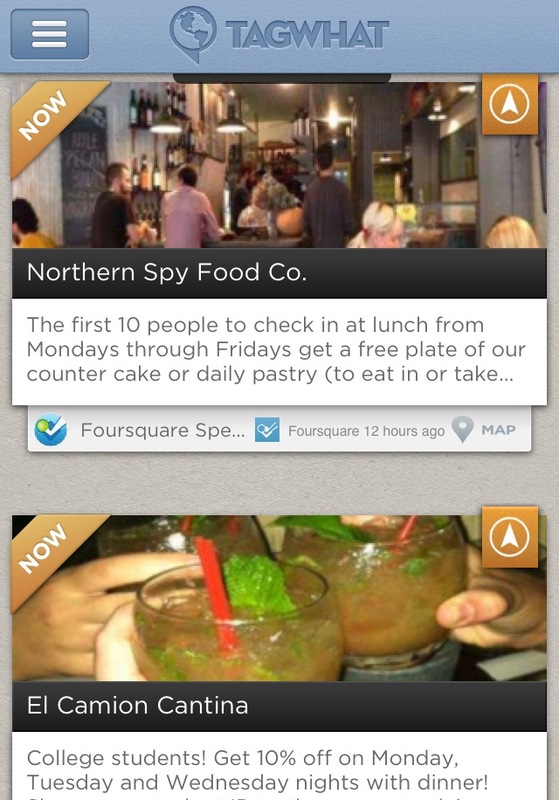 Once online, the app is able to show recommendations that are open and near your current location. 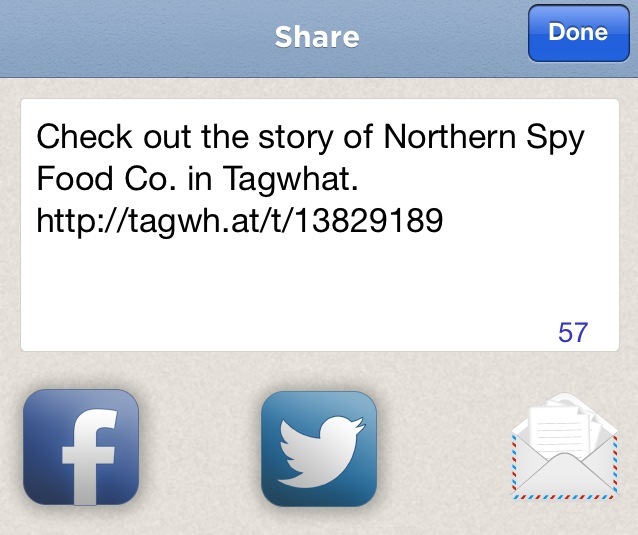 Tagwhat (http://www.tagwhat.com/) provides recommendations and local deals or events based on a user’s location and surroundings. 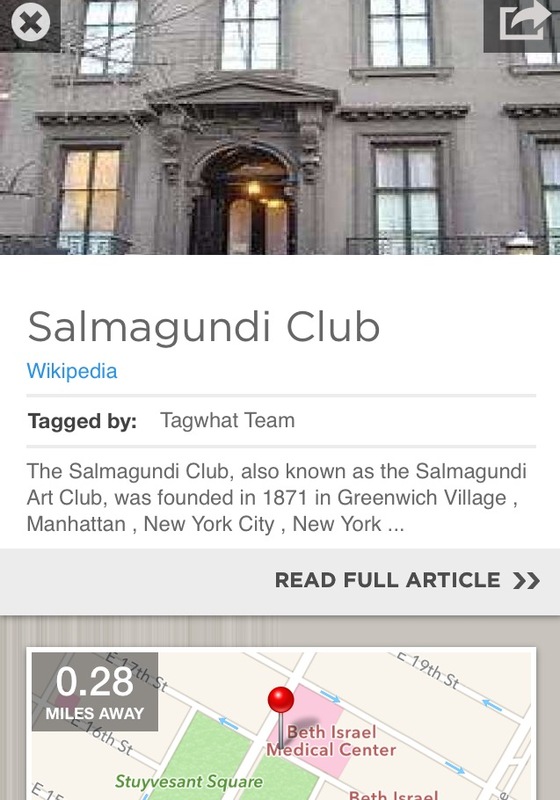 Tagwhat gathers user-generated content near a specific location and information from Wikipedia as well as other open sources to provide real-time content. 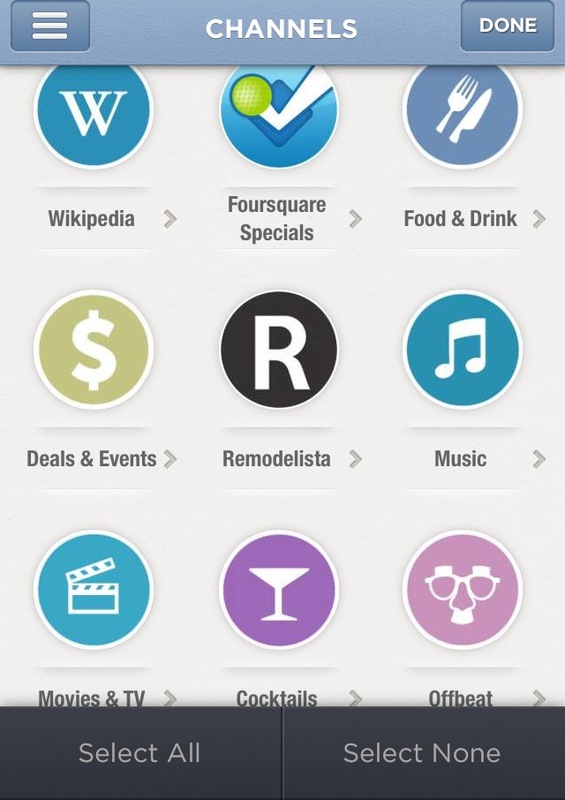 Deals are shared from social networks such as Foursquare and Facebook. Individuals are able to filter their recommendations by choosing which channels to feed their stream of content. Although Tagwhat does not offer the personal reviews and tips from local experts such as Like a Local does, it has a great history component to it because it pulls content from Wikipedia. I also like that it offers current deals and event information. Wikitude does not allow a user to easily filter the many nearby points of interest (less is more…just like the Cheesecake Factory menu, it can be overwhelming with too many listed options), compare reviews and receive local tips or deals. 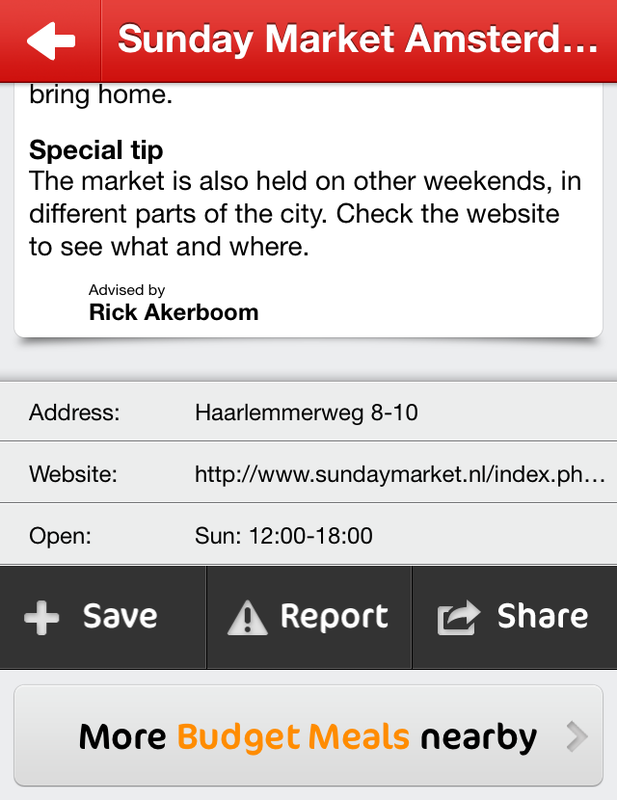 Localmind attempts to provide the most real-time local expert advice by allowing users to submit a question (e.g. “Can you recommend a café near my location?”), which is sent to a number of individuals who are identified as experts because of their frequent visit to those locations. However, the responses can take time and are not as detailed. Additionally, there is no general information on the identified nearby points of interest. Field Trip (http://www.fieldtripper.com/glass/)! So cool! I wish Peek (http://www.peek.com/) would be available on mobile! 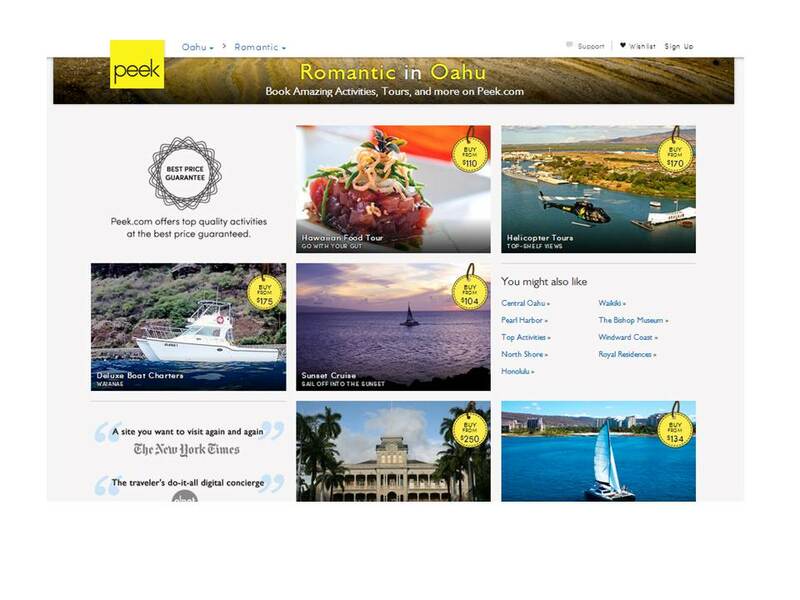 Peek curates activities based on various travel styles and allows individuals to automatically purchase the activities (Peek partners with local vendors to offer a range of activity options). 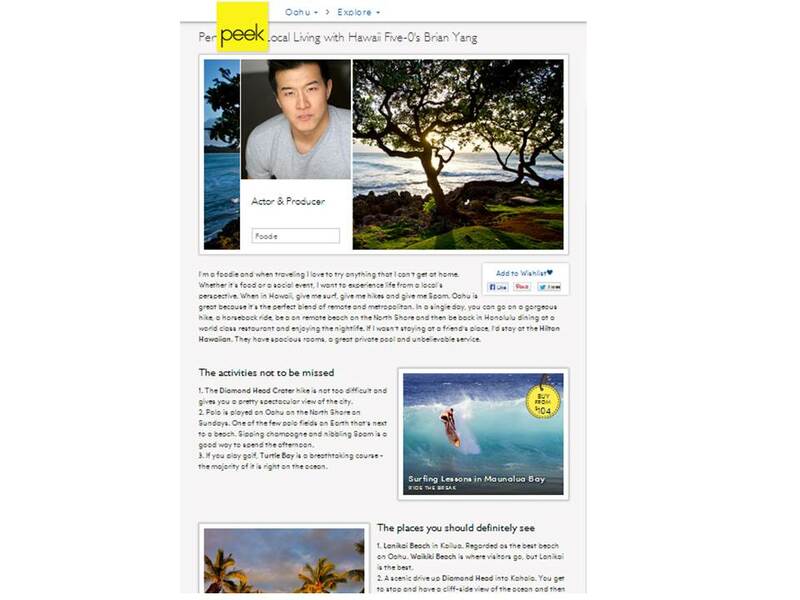 My favorite feature on Peek is its “Perfect Day”, which includes itineraries, unique advice and shared experiences from its tastemakers. I envision being able to read a tastemaker’s perfect day about the city I’m currently in and be able to purchase an activity based on their recommendations. Share with me your thoughts on international data roaming and travel apps @tiffanydstone or comment below! Drew–I completely agree that these travel apps have not been able to offer data for every location in the world and that this is the challenge for each of them. 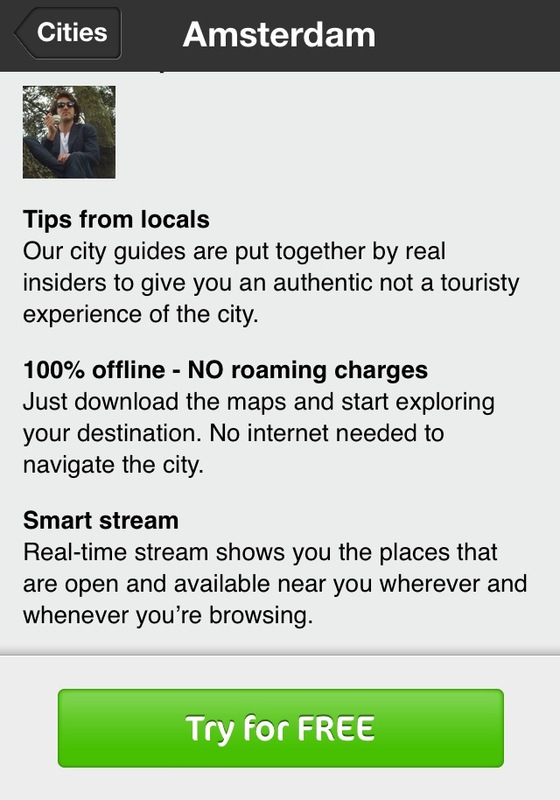 What’s interesting about Like a Local (my favorite) is that it is able to reach more local destinations through its reviewers/local experts’ posts, covering locations that may not be found on other travel app maps. So many travel treasures are found via word of mouth and Like A Local captures some of that in their experts’ posts. Although they may not be able to identify every restaurant or store in a city, they are able to provide the local recommendations for an area that users demand to reference and use to plan their days. It is likely that too much data on an area can also overwhelm the user. But with that said, in order for them to achieve global scale, they will need to bring on reviewers from all over the world, which will take some time and costs. Looking forward to see how they go about this. Awesome list. There are lots of apps in this space of local recommendations..the challenge is that few (if any) of them have great data for everyplace in the world.